Design Terminal, the Hungarian startup center organizes the Budapest 3D Printing Days between 5-7 June for the second time. The 3-day-long event provides a talks, workshops, roundtable discussions by industry experts, a pitch event and exhibition of 30 Central-Eastern Europe-based 3D printing related companies. 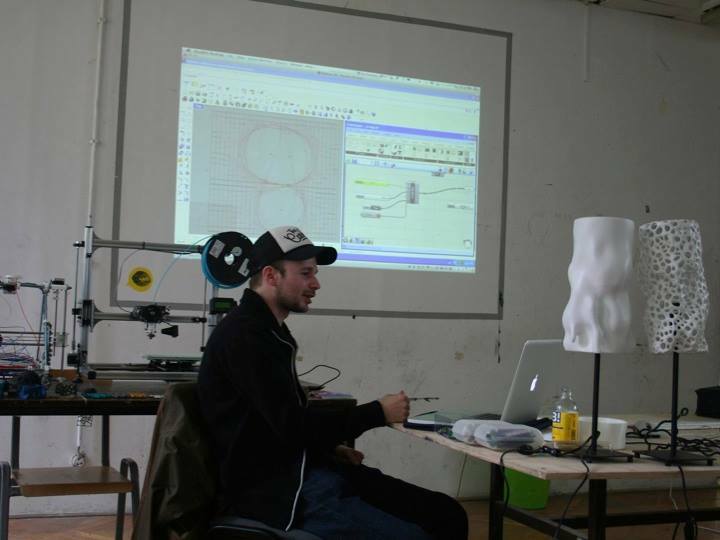 The goal of the event is to build bridges between the emerging Central Eastern European 3D printing communities. With the wide variety of topics the organizers try to touch various applications of 3D printing from industrial to desktop usage, opportunities in education and health and more. The event provides 30 regional exhibitors, 6 workshops, +20 speakers and 3 locations in the heart of Budapest. Beside the local players, most of the exhibitors are coming from various countries of the CEE region, such as the Poland-based Zmorph. Also, there will be some high profile speakers like David Lakatos from Formlabs, who sold his previous company to Dropbox or Marcelo Coelho, a research affiliate at MIT Media Labs, who was earlier involved in the Hyperform 4D Printing project. 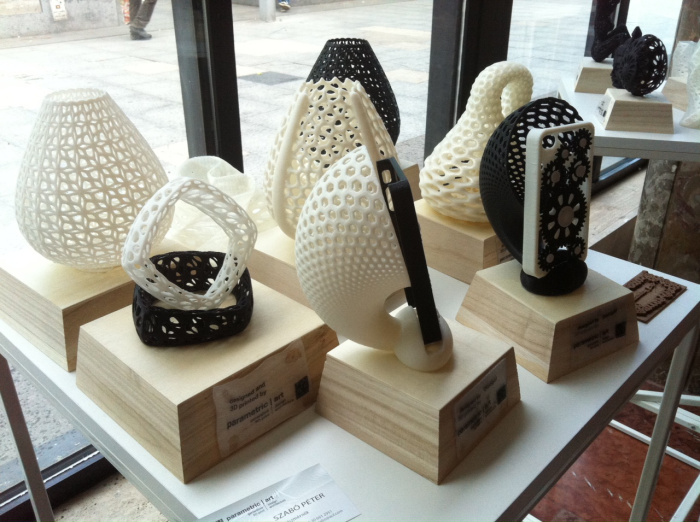 3D Printing can really change the way we think, design, the way we build and even the way we dream. This new additive digital fabrication technology gives us the freedom to transform imagination and innovation into physical reality. It’s changing everything from art to architecture and from manufacturing to medicine. But until now, 3D printing has been expensive and complicated. 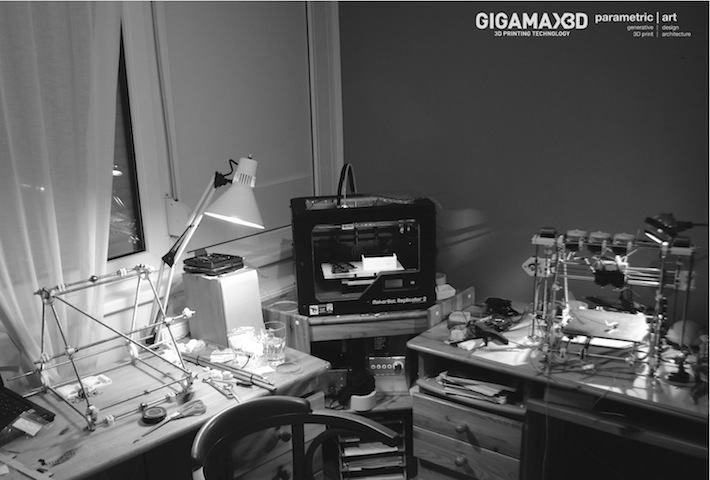 This workshop will be instructed by GigamaX3D, the official distributor of one of the world’s finest and most popular open-source 3D printers, the affordable Velleman K8200 desktop 3d printer KIT. If you’re wondering which 3D printer is right for you or looking for beginner CAD software tutorials so you can design your own 3D printed objects, check out our booth and free-to-attend workshops at Budapest 3D Printing Days, from how printers work to unique and innovative applications and finishing techniques. 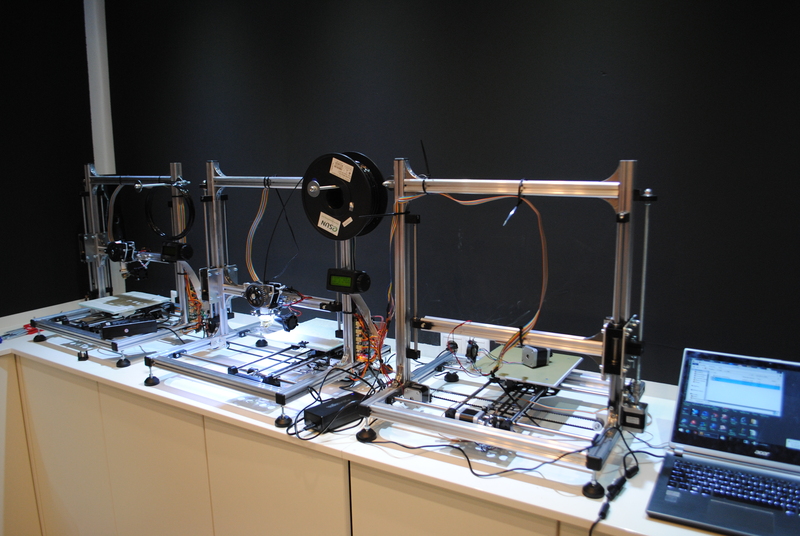 Have you ever seen some RepRap 3d printers in real life? 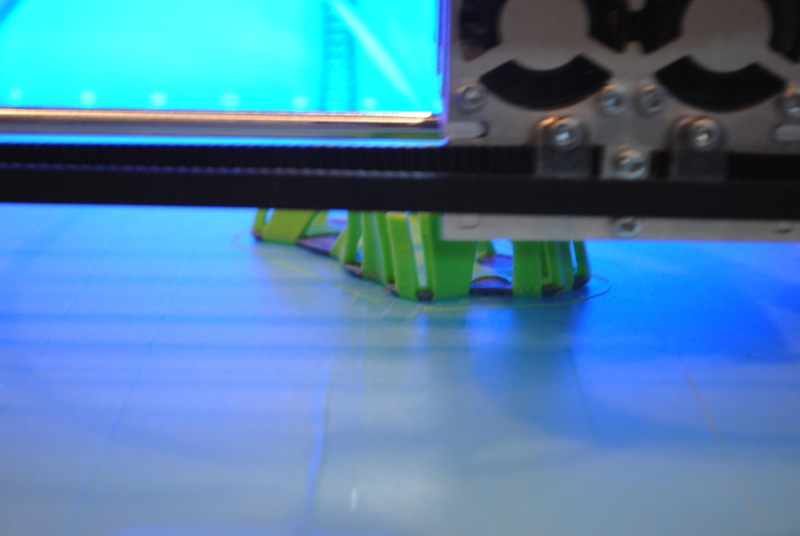 RepRap is the family of 3D printers that can reproduce their plastic parts. These 3D printers are completely open source, developed by an active community. During our workshop you’ll see ho you could build such a 3D printer from a kit. 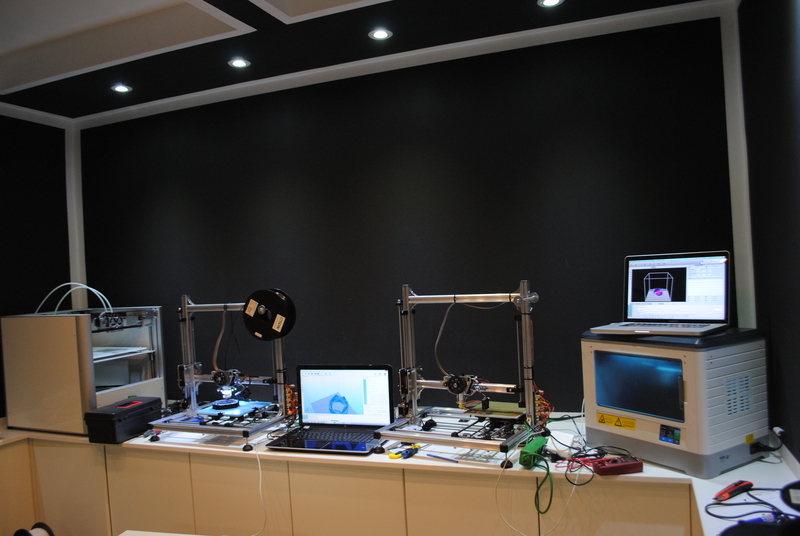 The hands-on event, held June 8 in at Design Terminal in Budapest, is intended to help people of all skill levels acquire a working knowledge of 3D printing by building, calibrating, operating and troubleshooting a Velleman K8200 or other RepRap open-source 3d printer kits. As part of the build process, workshoppers will learn how to how to calibrate and operate their 3d printers for optimum 3d print quality as well as troubleshoot them when things go wrong. In this free 3D print workshop by GigamaX3D we’ll give you that basic understanding by putting some open-source 3D printers into action. And yes, you’ll leave the room with some 3d prints, free of charge: everything is included. You’ll gain exposure to the main facets of 3D printing including 3D scanning, 3D modeling, preparing the file for print, and finally, 3D printing. 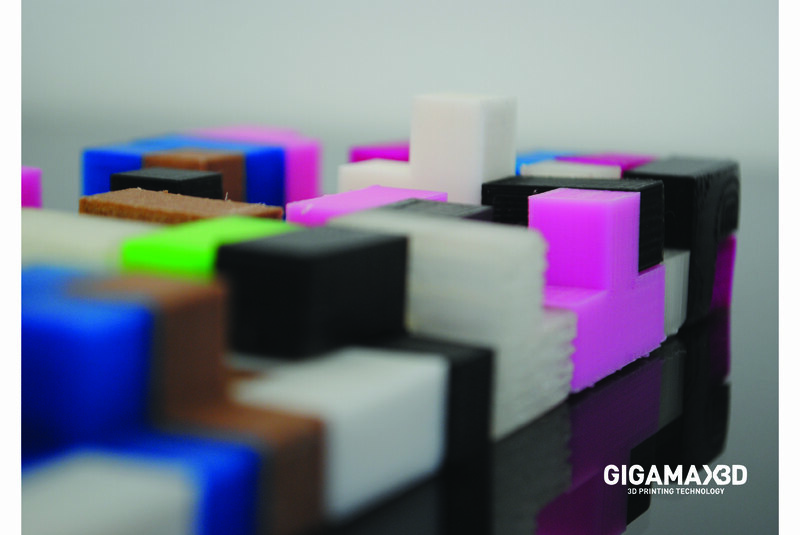 The Gigamax 3D print workshop will present an overview of the exploding world of 3D printing as well as detailed info on the various 3d printing materials and software. We will also cover how to create basic models, modify existing 3D models and use advanced 3d print techniques available in Repetier/Slic3r and the Marlin RepRap firmware. As the K8200 (3D Drag) 3D printer is an open-hardware design (its controller is based on Arduino) and Slic3r and Pronterface are completely open-source software, we will also discuss modifying the 3d printer and other advantages of open-source hardware and software. The rapidly decreasing cost and widespread adoption of 3D printers has been aided and accompanied by new software applications that make 3D modeling for 3d printing simpler for everyday people. This workshop is an introduction to 3D modeling and 3D printing for all the newbies: families, educators and more. Participants will learn the use of several free 3D modeling applications (including the Meshlab, Meshmixer, Netfabb, Repetier and Slic3r) — as well as the use of the K8200 3D printer, an inexpensive open-source desktop 3D printer widely used in schools and hackerspaces. The workshop will also present the many different ways in which people around the world are using 3D printing to create useful, expressive, and critical objects. 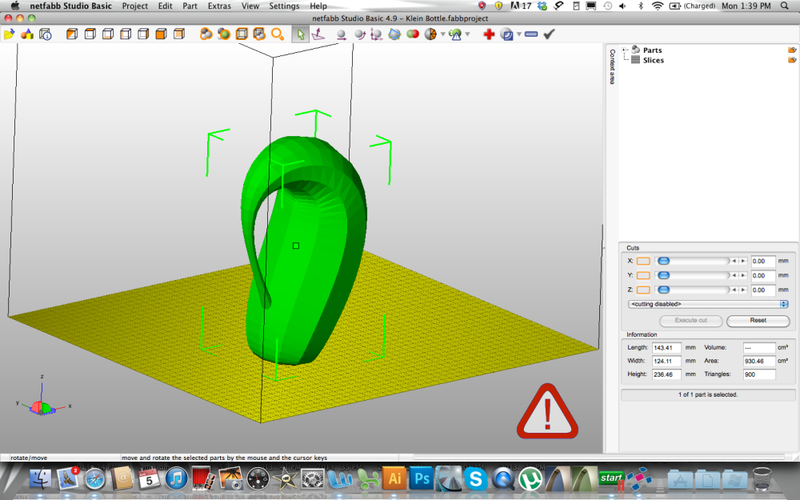 The 3d printing tools which will be taught in this course are Meshlab, Netfabb Basic, and Repetier/Slic3r. All software is available for a free download as a trial or is completely free/open-source. All participants are encouraged to bring a laptop if they own one so that they can install the software. If you are able to repair your bicycle than you can build a 3D printer. 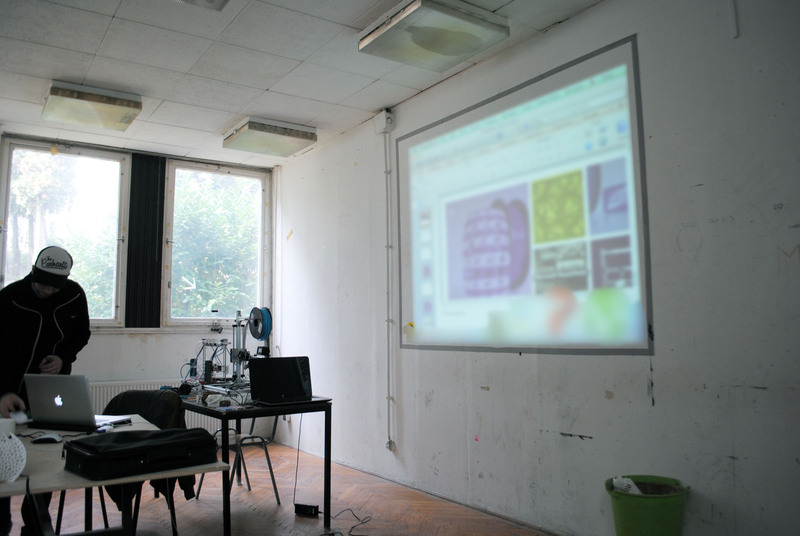 For the workshop you don’t need special skills like: programming, metal work, or soldering. Elementary skills in 3D modelling are highly welcome. 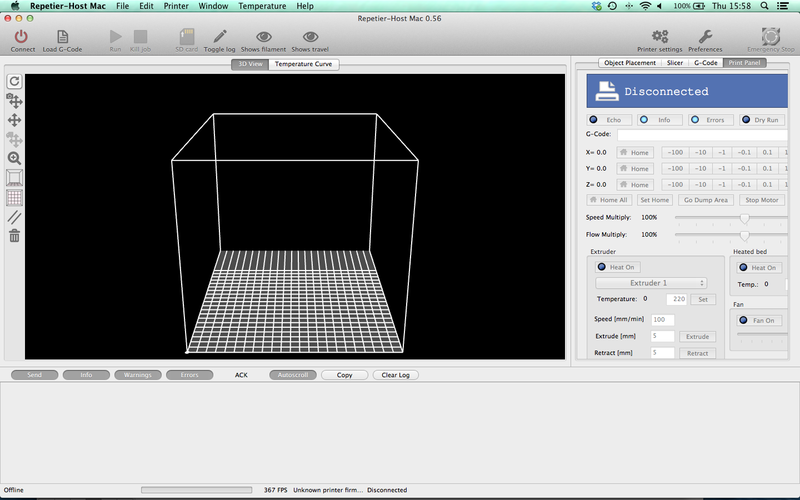 Pronterface and Repetier are free 3D printer controller software for RepRap 3D printers. 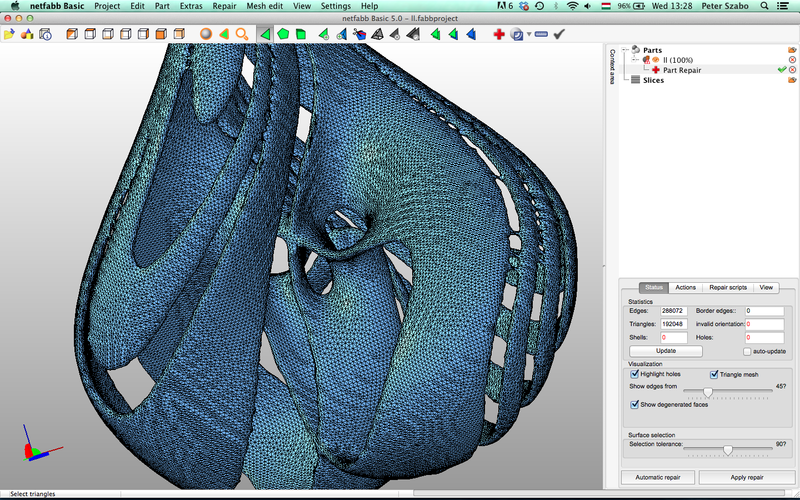 Pronterface (and Printrun) are pure python 3d printing host software and this way they’re completely open-source. If you have a 3d printer, you need to feed it with data. Slice the models into thin slices and compute a path for printer head. 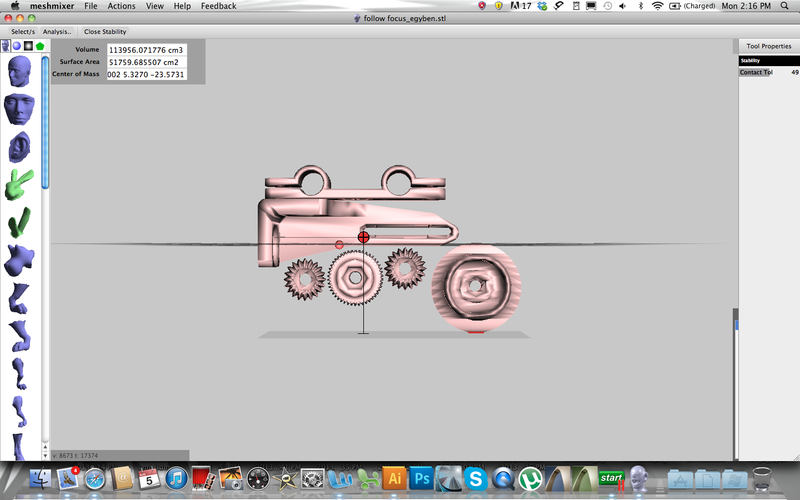 This is done by a slicer software, which converts the model into g-code, the language your printer speaks. 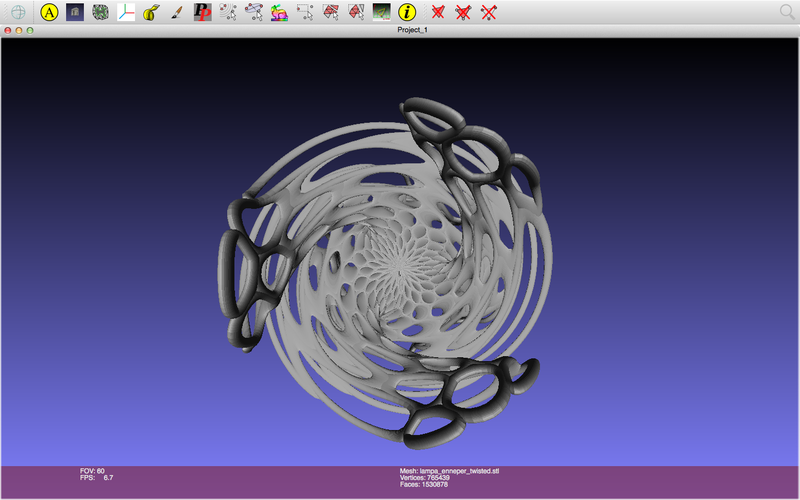 The 3d printer host software sends the g-code to your 3d printer. 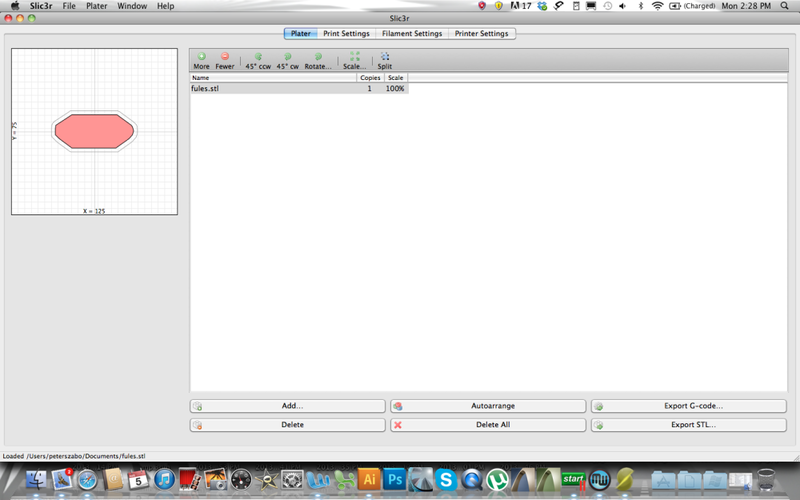 Participants need their own laptop with the suggested tools installed. Attending is free, but you need to register here. See you at Design Terminal next week! By the way, there has been a 3d print competition connected to the event, we also have submitted a design of our architect. Check out this 3d printed generative cellular pendant designed by parametric | art, it can easily customized because it has been designed parametrically, and you can print it with different colors on a simple and cheap desktop 3d printer like the Velleman K8200. You can vote for the designs by clicking the image here and then ‘Like’ the design in the facebook gallery. Thanks;) and c u at the Budapest 3D Printing Days! This entry was posted in Uncategorized and tagged 3d print, 3d print workshop, 3d printer, 3d printer building, 3d printer filament, 3d printer kit, 3d printer supply, 3d printing, 3d printing 101, 3ddrag velleman k8200 3d printer kit, ABS PLA HIPS PVA 3d printer filament, affordable 3d printer, budapest 3d printing days, cheap 3d printer, cheapest 3d printer filament, design terminal, gigamax3d, GugamaX 3D Printing Technology, high quality 3d printer filament, huxley, k8200, k8200 3d printer, makerbot, marlin, mendel, open source 3d printer, open-source 3d printing workshop, parametric art, premium 3d printer filament, rewrap, rewrap workshop, tricolo 3d printer, ultimaker by gigamax3d. Bookmark the permalink. Reblogged this on 3dfizz – a great 3D print community.